Whether you attended Carrollwood Day School last year or decades past, you’re always a part of the CDS family. At CDS, you'll find the more things change, the more they stay the same. 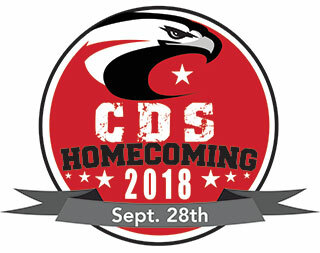 While there have probably been some very big changes at CDS since you were a student or parent here, the fabric of the CDS culture and community remain the same. So, although our campus may be dramatically different from when you attended classes (even if you graduated just last year!) and CDS may not have been an IB school back in "your day," the commitment to academic excellence, the dedication to each student, and the emphasis on good character are as strong as ever. CDS is moving forward in exciting ways and we encourage you to climb aboard as our new journey begins. We invite you to come see our growing new Bearss Avenue campus! Come for a visit, drop a line, give a call, send an email, or plan to attend our annual reunion event. The door is always open, and we eagerly look forward to hearing from you. We are very proud of our alumni and are always interested to hear about your accomplishments. In the coming months, volunteers will be reaching out to CDS alumni to update contact information and build a stronger alumni network. You are welcome to contact Nicki Ragan with your current contact information or to share your latest news. We invite you to connect with other alums on the CDS Alumni Association Facebook page! We look forward to hearing from you. We hope to see our Alumni Families on September 28th! We want you to stay connected!